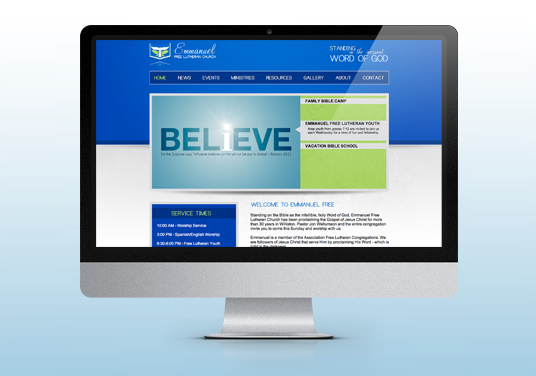 We collaborated with Emmanuel Free Lutheran Church in Williston to create their website design. 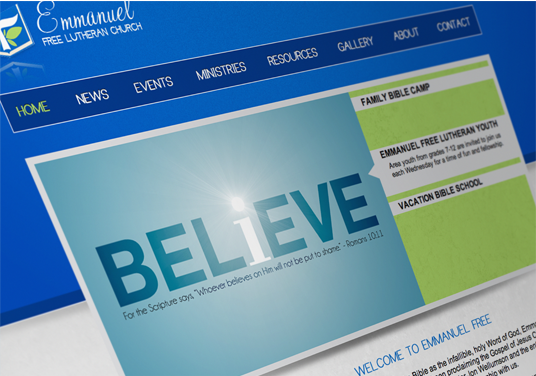 Emmanuel wanted their website design to clean, welcoming and have a casual feel. For functionality we added a few editable features to the content management system, such as main image feature rotation, service times, and quick links. 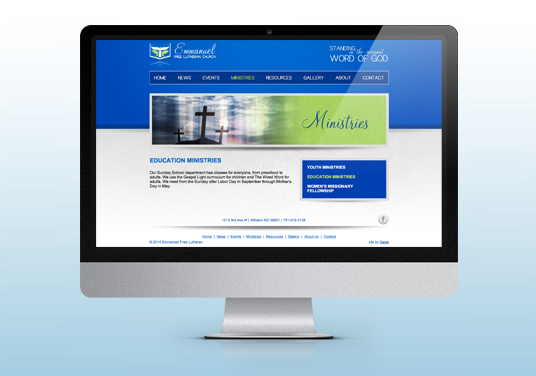 Now the entire congregation can easily find information on the latest happenings at Emmanuel Free Lutheran.